It's all about the VIEW! 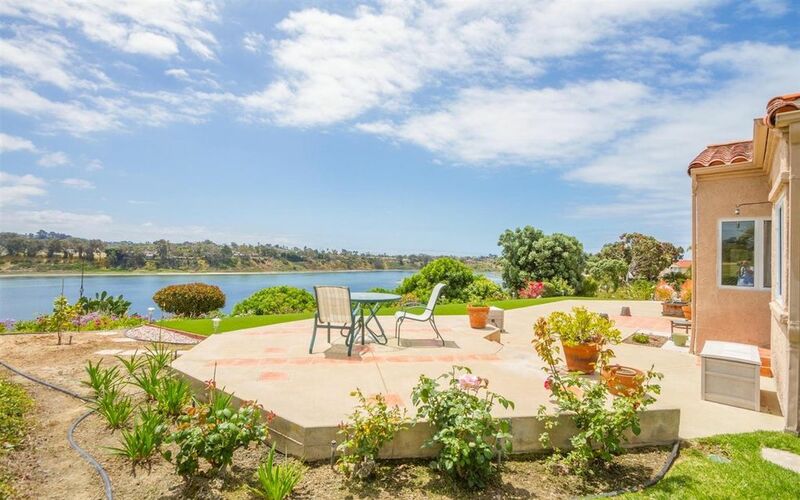 Sought after single story overlooking Batiquitos Lagoon. Master suite has sitting area with fireplace, french door to patio & large walk-in closet. Rear of home is south facing and offers lagoon view from kitchen, dining, living & master bedroom. Wet bar & fireplace in living room. Full size laundry room complete with sink. Easy care, drought tolerant rear yard features a sunny patio area to soak up the view & salt air sea breezes. Close to HOA pool & easy walk to Ponto Beach! Directions To Property: Avenida Encinas to Windrose Cir. Left on Navigator Cir.